Why Use Kryptonite Glass and Bong Cleaner? Klear Kryptonite has ben voted the best glass and bong cleaner in Colorado and one of the best cleaners in the nation. It clean pipes, bongs, extraction tubes, dab rigs, clothing and hard glass and metal surfaces with ease. It helps protect your investment and provides complete care for the pieces you love. When cleaning your cannabis accessories, there’s no need to recklessly shake delicate glass and ceramic pieces or subject them to abrasive materials. All of our Kryptonite products (Original Formula, Naked Formula and Extractor Cleaner) have been scientifically formulated in a lab and contain no harsh chemicals or abrasives. The entire family of Kryptonite cannabis cleaners has been designed and tested by scientists and chemists specifically for the cannabis industry. Kryptonite’s clay-based, water-soluble product is EPA compliant and therefore gentler to the environment than other competitive commercial products. frequently used pipes and one-hitters—not to mention mold in water pipes and bongs. Without regular cleaning, that grime goes straight into your mouth and body. But with Kryptonite, it’s simply washed away. 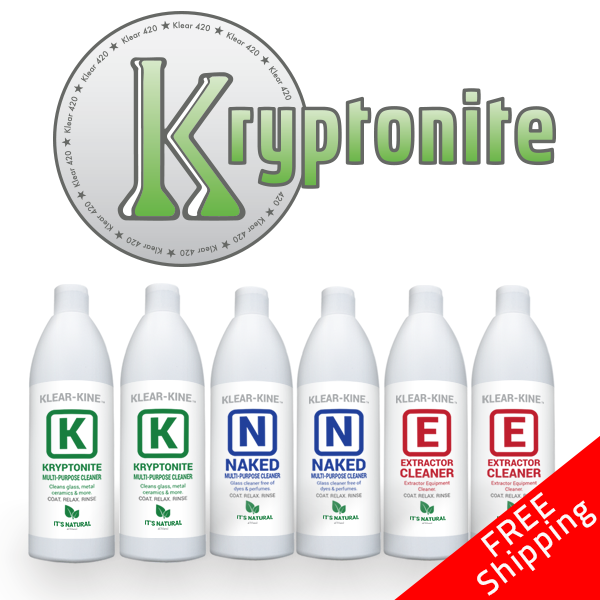 Kryptonite cannabis cleaners effortlessly cleans the hard-to-reach spaces of any glass, ceramic and metal pieces. It also easily cleans external surfaces and anything else that needs cleaning, including clothing and hands. Many commercial cannabis cleaning products are loaded with harsh chemicals, and common homespun methods like boiling water, isopropyl alcohol and salt water are abrasive and/or dangerous. The family of Kryptonite cleaners is the lowest VOC (<3%) cleaner on the market, compared to alcohol and acetone (100% VOC). 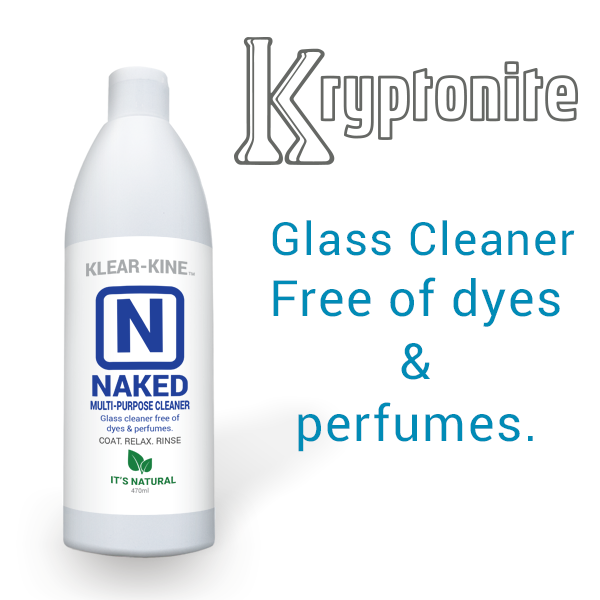 Kryptonite is a safe, simple way to get the clean you need. What Can You Clean With Kryptonite? We’ve carefully crafted our entire line of products to give our customers the flexibility they wanted to clean all of their cannabis accessories quickly and easily. Kryptonite can clean bongs and water pipes, extraction and dab tools, grinders, oil rigs, resin sinks, storage and curing jars, bong bowls and slides, hands and clothes. Our new Kryptonite Cannabis Extraction Cleaner works wonders cleaning grow tools, grow trays and other hard glass and metal surfaces.